The Indonesian consumer price index has increased by 8.614% in recent years, from 133.16 in July 2012 to 144.63 in 2013. Currently, Indonesia has about 74 million MACs (Middle-Class and Affluent Consumers), and this number is expected to double by 2020, to roughly 141 million people. 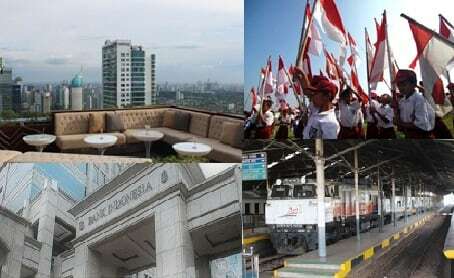 Over the past 40 years, Indonesia has undergone a significant economic transformation. Today, the industrial sector accounts for the largest share of Indonesian GDP, with 46.5 percent. Agriculture accounts for about 15 percent. Energy security and environment is emphasized in The National Medium-Term Plan for 2015-2019. Indonesia has great natural resources potential and many energy resources including oil, gas, and coal. The country is also home to tremendous biodiversity among animals and plants. The government is working on national political and economic reforms; however homeland security problems including civil tension, religious radicalism, and terrorism are still possible threats. Indonesia has focused on improving its defense and security sector. Indonesia’s healthcare expenditure is predicted to grow 14.9 percent over the 2012-2018 period, reaching US$60.6 billion in 2018 . Overall, Indonesia has still poor sanitation and it can be difficult to obtain clean water. There are other sectors that are also very important to Indonesian economy and have great potential for foreigner investors and entrepreneurs. These sectors include Banking and Finance, Education, Transportation and Logistics and Real Estate. Please feel free to consult with us about Indonesian sectors.